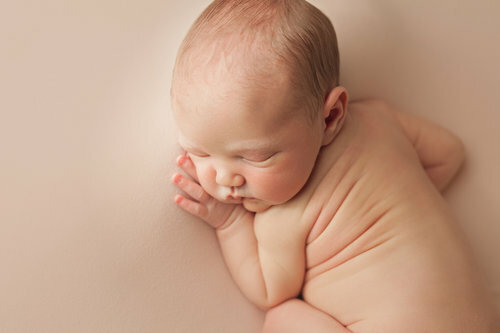 A newborn is best photographed 14 days old and younger. They’re more alert, sleep less and are not as curly any older. My clients book me shortly after they’ve discovered they’re pregnant. This way they’re able to secure their date. We pencil in their due date and once they’ve delivered their beautiful baby, they contact me and we set up a definite date within the 14 day time frame. If you already have your baby, please don’t hesitate to contact me! I can sometimes squeeze in last minute sessions A full session typically lasts around 2 hours to allow plenty of time for feedings, soothing and snuggles. These sessions are done in my studio in Spencerport, NY where I provide a very warm, safe and calming environment to photograph your baby. I have tons of prop options! Newborn sessions take place in the late morning during the week. Weekends book months in advance and the chances of getting in on the weekend are very slim. Ready to book an appointment? Not sure yet? Send me a quick note to discuss more details! I would love to chat with you! Milestone sessions are done in my studio in Spencerport, NY or can be done outdoors, weather permitting and if your baby is sitting unassisted. We will have up to an hour or so to play, giggle, and snuggle while I transform those laughs into art to fill your home!